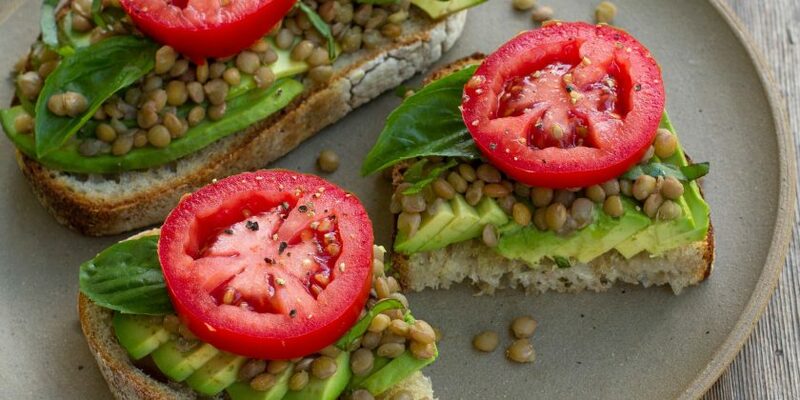 Avocado Lentil Toast… the name doesn’t do this dish justice! Fresh crusty bread spread with creamy, dreamy avocado is one of my personal favorites. The lentils add protein without weighing you down for a great day on the trail or water! Mix the cooked lentils with the olive oil, garlic powder and sliced basil. Slice the bread, brush with olive oil and lightly toast. Place the avocado slices on the bread and squeeze the citrus over them to keep from browning. Top with the lentil mixture, some more basil and a slice of tomato. Add salt and pepper to taste. Enjoy then hit the trail!